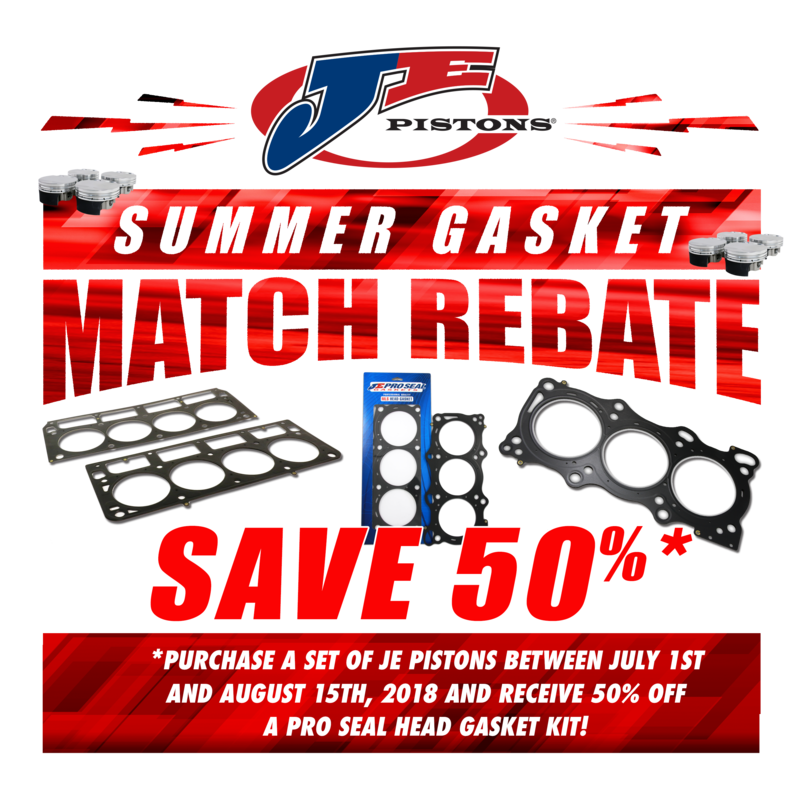 Purchase a set of 4 or more JE Pistons between July 1st and August 15th, 2018, and receive 50% off a Pro Seal® head gasket kit! Details below. For a limited time, JE Pistons will be offering 50% off a Pro Seal head gasket set with the purchase of any set of 4 or more JE shelf or custom pistons. *To participate, follow the simple instructions below. Purchases must be made between 7/1/18 and 8/15/18, and redeemed by 9/15/18. Purchase a set of 4 or more shelf or custom JE pistons. Fill out form below with all required information, attach photos from step 3, and submit. A JE Pistons sales representative will contact you within 24-48 business hours and process your gasket order. Fill out and submit this redemption form for your discounted gasket kit!